High fibre. 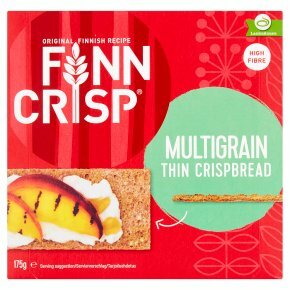 Kosher - Parve Finland.Finn Crisp is made from pure Finnish lake waters, sourdough and wholegrain. Tasty, crisp and baked full of goodness. Discover the spirit of Finland with a topping of your choice.